I have loads of portable software not only on my USB drive, but also on my PC. There’s something uncomplicated about them. While video and mp3 takes over our senses, we forget that the listening experience of radio is still a part of the airwaves; or the digital waves that makes up the internet. As I listen to Jazz guitarist Peter White in the background, let me introduce you to RadioSure. RadioSure (ver.2.0.886 ) is an internet radio player and a really cool and simple one at that. This attribute along with its unzipped size of 4.57 MB makes it a great media software to include in your portable apps lineup. 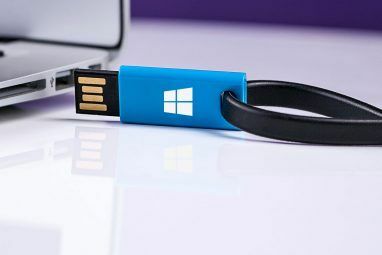 You have a choice of an installer version too, but the portable version comes without the hassle of an installation and can be run straight off a USB drive. RadioSure runs on Win XP/Vista/7. But the yardstick of a great portability loops back to how good the app really is. That’s where RadioSure is pretty much surefooted in its performance. So, let’s tune it up and catch a few song streams. The radio interface is as simple as it can get. The design is like a traditional media player. You have a small button on the right corner that can collapse or expand the radio interface. 12,120 radio stations on the Internet from across the globe are enough for even an ardent audiophile. 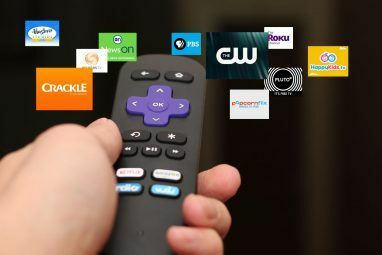 The stations are listed by name, country, genre, and language. Alongside the station names, you also get the bitrate of the radio stream on offer for some of the radio stations. You get to hear lots of FM stations too which stream online. RadioSure supports most audio formats like mp3, wma, ogg, vorbis, aac, and more. The track and the singer are displayed on the interface, the title bar and the status bar. Got your own radio station on the Internet? Add it to RadioSure by adding a few details. You really need good and precise filters to narrow down to the station of your choice. RadioSure doesn’t make it obvious, but choosing stations from the 12,000+ on offer is easy. Use the little search box on top and narrow it down. Or you can go with the filters. Right click on the column heads and check any of the filters that are available. You can use the search and filters in combination to quickly narrow down to the right station. Clear the search field and the filters to get the entire 12,000+ strong list of radio stations again. Recording tracks while it’s streaming into your computer is also uncomplicated. You just have to toggle the red button to start and stop recording. RadioSure’s Options has a Recording tab for more hands-on control with setting a custom folder, choosing a bitrate, splitting recordings by track, and avoiding duplicates. You can open up multiple instances of RadioSure and simultaneously record multiple radio stations on the Internet. Skinning is a must have for all media players. So it is with RadioSure. There is a whole gallery of skins developed by others and made available on the site for free or paid downloads. You can even make yours and upload it to the site for sale. The sound quality of course depends on your bandwidth (and the station). I have a slowpoke 256kbps connection and I can vouch that the buffering and streaming is more than adequate. Bandwidth is a variable, but what’s impressive is the smooth switching between stations. You can polish it further by ticking on crossfading and volume normalization from the General tab under Options. RadioSure lacks a full fledged graphic equalizer but it has presets like jazz, pop, rock, and classic. 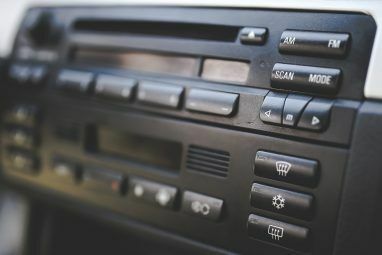 Internet radio comes with the rider that you will hit and miss some stations while browsing. With RadioSure’s large list of stations globally, you can dip into the radio stream and come away with something. RadioSure lacks a help file but with the simple features, you really don’t need one. Play it by the ear and let us know your impressions on RadioSure ver 2.0.886 (portable or the installer version). 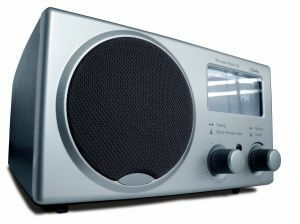 Compare it with something like the online RadioTime RadioTime - Listen to & Record FM Radio Online RadioTime - Listen to & Record FM Radio Online Read More which we have covered earlier or Screamer Radio Record Streaming Audio with Screamer Radio Record Streaming Audio with Screamer Radio Read More . Then there are The 3 Best Online Radio Players for Your Desktop The 3 Best Online Radio Players For Your Desktop The 3 Best Online Radio Players For Your Desktop Read More . Explore more about: Internet Radio, Portable App. I want config the proxy server. This is possible? how to connect my radio station on the internet? You don't need to do anything. The software does it for you. You just have to choose the station from the list. Follow up comment after two days. It crashes Google Chrome. The first thing that happens is "right-click" functionality will not work. I have no right-click function. Next I notice is the two drop-down menus ("control current page" and "customize and control") stop working as well. They just don't work. If I keep goofing with it, Chrome will crash completely and come back with "it didn't shut down properly would you like to restore" and it gets caught in a loop on that constantly restarting and "it didn't shut down properly" etc. I've never seen this happen before. Of course I'm talking about when I am listening via Radio Sure and recording too. That's all the investigation I've done but something is definitely up with Radio Sure and Google Chrome compatibility and the only fix is to re-boot the computer. I even notice that right-click functionality was missing from items in "my folders" after all this and the only fix is a re-boot. Really something! Nice program. I've only been using it for hours now but I like it already. I have tried others and just don't end up using them. This one has a record function that's cool. I find a station I like, put it on record, and find all the individual songs listed in "My Music" subfolder (yes, I'm in Windows XP) and they are all there with artist and song title all done up for me automatically. It's nice! Great portable app! Pity only that my favorite American stations are not connecting from Europe while they work fine via web. Which of these streams WXRT in Chicago?